Below is the latest news release from the Dallas Committee on "The 50th: Honoring the Memory of President John F. Kennedy". DALLAS--(EON: Enhanced Online News)--The online ticketing process for The 50th: Honoring the Memory of President John F. Kennedy has been completed for the public commemoration in Dealey Plaza in Dallas, Texas on Nov. 22, 2013. "The alternate viewing locations ensure that everyone feels welcome to be a part of the commemorative proceedings." 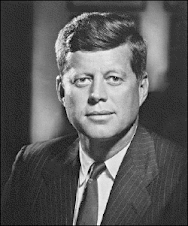 The President John F. Kennedy Commemorative Foundation, in conjunction with the city of Dallas, established a highly secure computerized allocation system to handle the large volume of expected requests from the public wishing to attend the event in Dealey Plaza. Those chosen by random allocation will be notified this week as to the planning and logistics for their attendance that day. The public will still have the opportunity to view live, close captioned feeds of the event from three locations in and around downtown Dallas. AT&T Plaza at Victory Park/American Airlines Center, Annette Strauss Square and the JFK Memorial Plaza/Founders Square area, located one block east of Dealey Plaza, have all been chosen as alternate viewing areas for the public. "The online ticket allocation process was inclusive and the fairest way to accommodate the public with the limited space and security and safety concerns we have to work with in Dealey Plaza," Mayor Mike Rawlings said. "The alternate viewing locations ensure that everyone feels welcome to be a part of the commemorative proceedings." 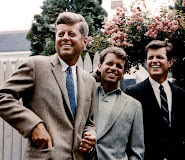 "The 50th: Honoring the Memory of President John F. Kennedy" will be a serious, understated and respectful commemoration in tribute to our nation's 35th president. Paid for by private donations, corporations and foundations, the private/public partnership is led by Dallas Mayor Michael S. Rawlings and a broad cross section of 25 local civic leaders in cooperation with the city of Dallas. The President John F. Kennedy Commemorative Foundation is chaired by Ruth Sharp Altshuler. "It's important that the city of Dallas has a strong voice in remembering this very solemn day," said Altshuler. "The donors have done a wonderful job in creating an event which will live up to the sense of history and dignity it deserves," she added. 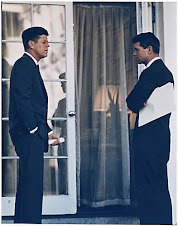 For additional information, please visit: http://www.50thHonoringJohnFKennedy.com . JFK Lancer has again requested to meet with Mayor Rawlings asking for a Citizen's Event to be held Thursday night at the JFK Memorial. Now that it has been announced that this will be a public area for the Friday, November 22nd ceremony, I can see no reason for our request to be denied. Please feel free to contact the Mayor's office to ask him to let the citizens of the world have their own ceremony. 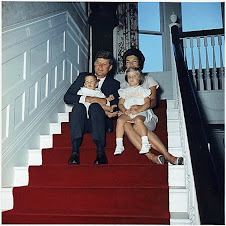 President JFK Lancer Productions & Publications, Inc.